Remember back in the day when one built with prims, meticulously cutting and twisting and sizing and torturing then throwing it all way and starting again because "it" wasn't just right? Kinda like when Robbie Dingo made this guitar for Suzanne Vega to play in Second Life nearly a decade ago. 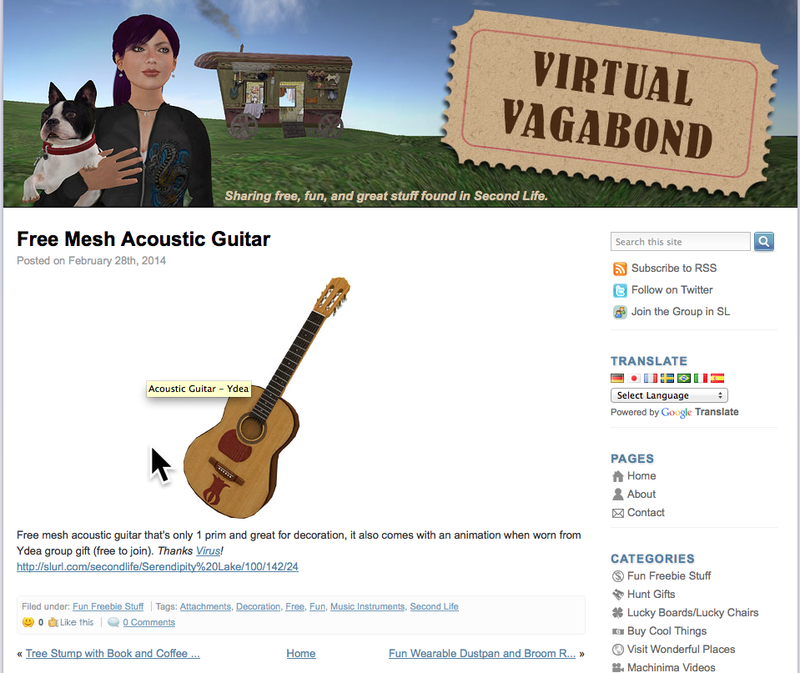 Now try to remember waaaayyyy back to when you checked the Virtual Vagabond blog today (like all the cool kids do, mind you) and saw this free one prim mesh guitar from Ydea. Makes you want to cry a bit, doesn't it?